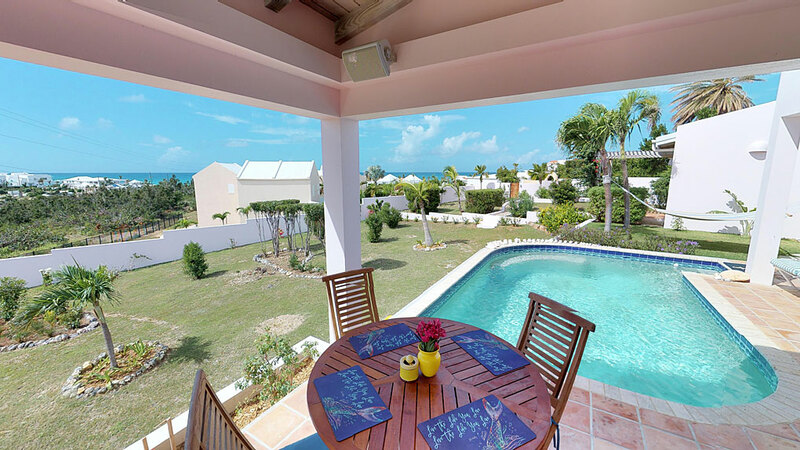 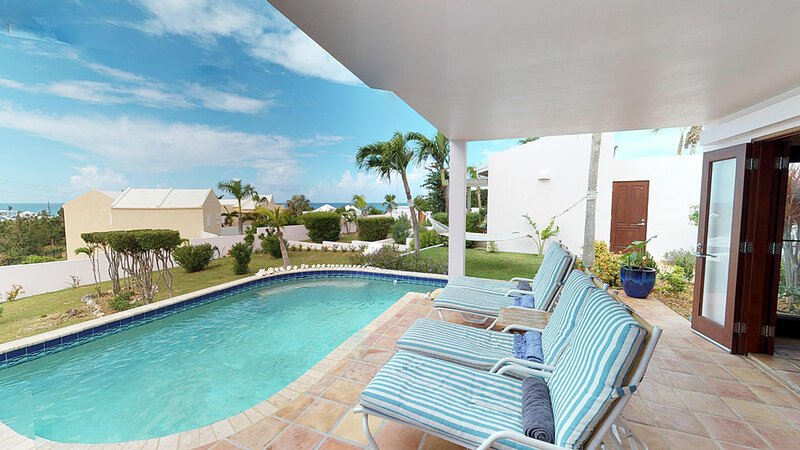 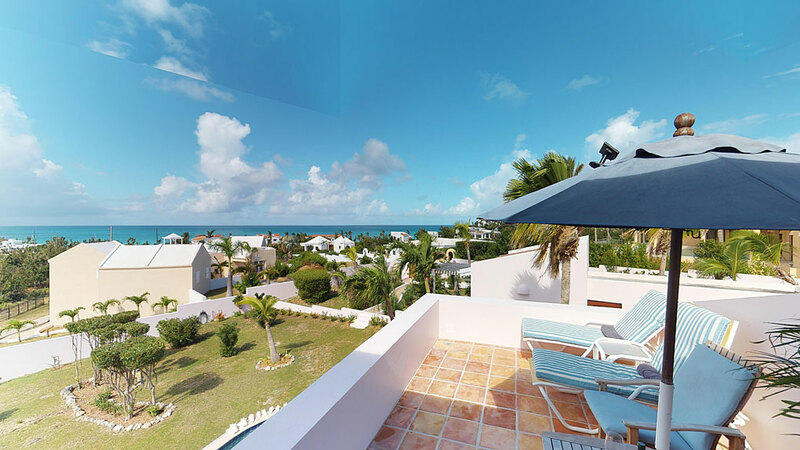 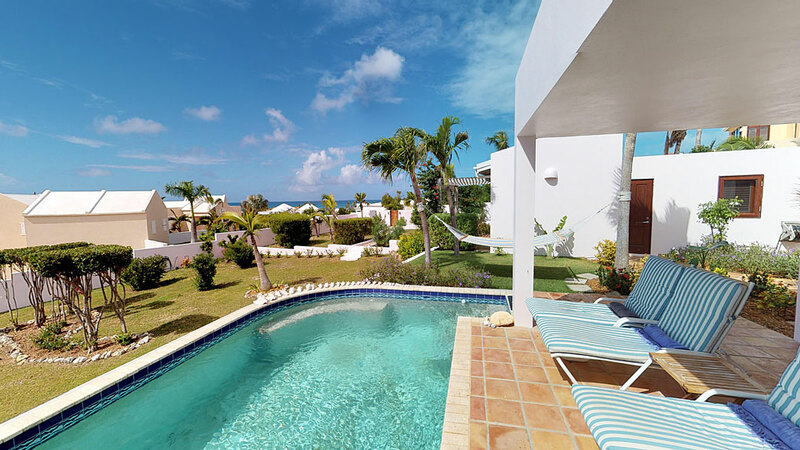 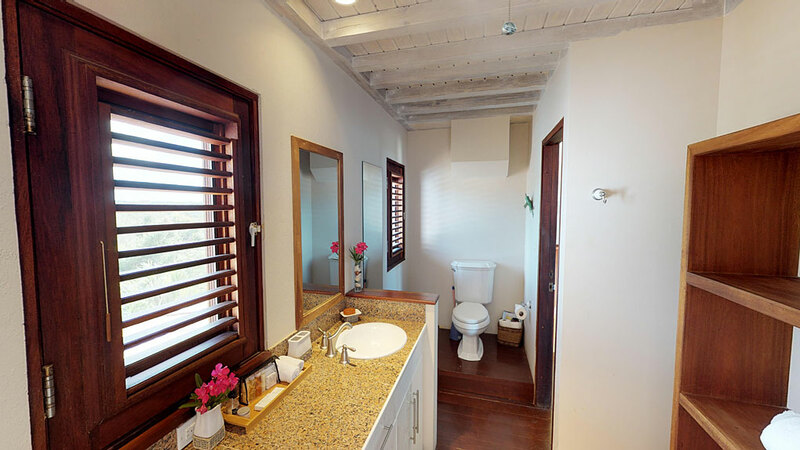 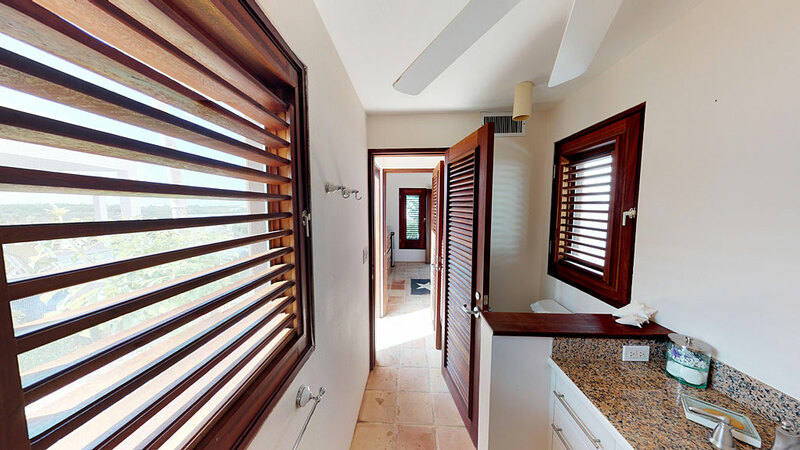 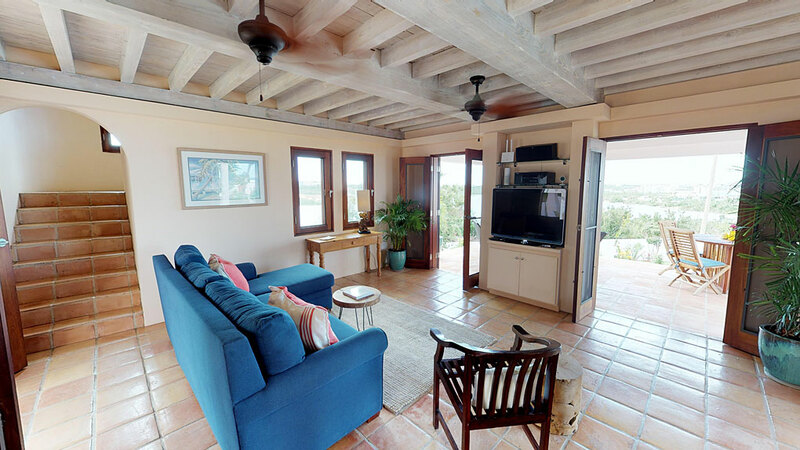 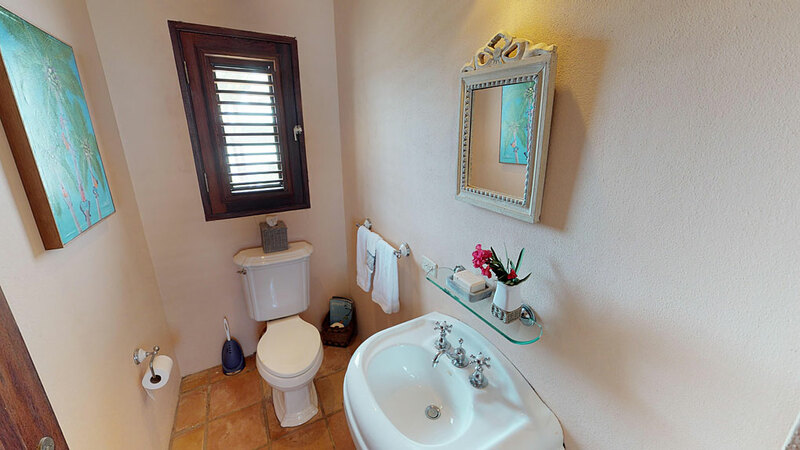 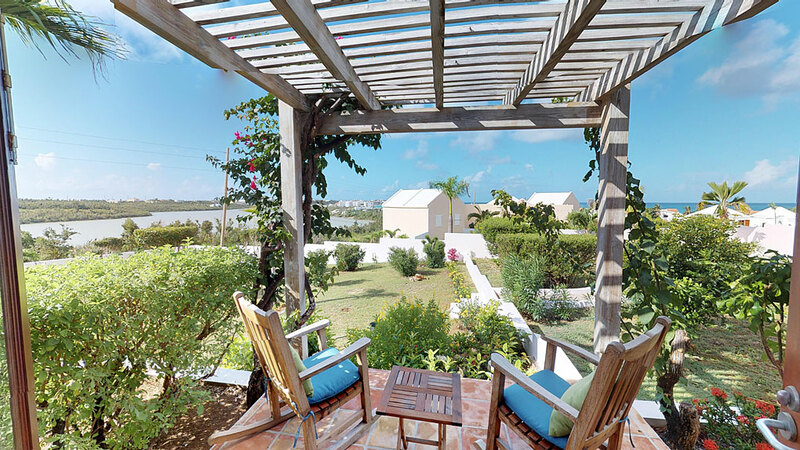 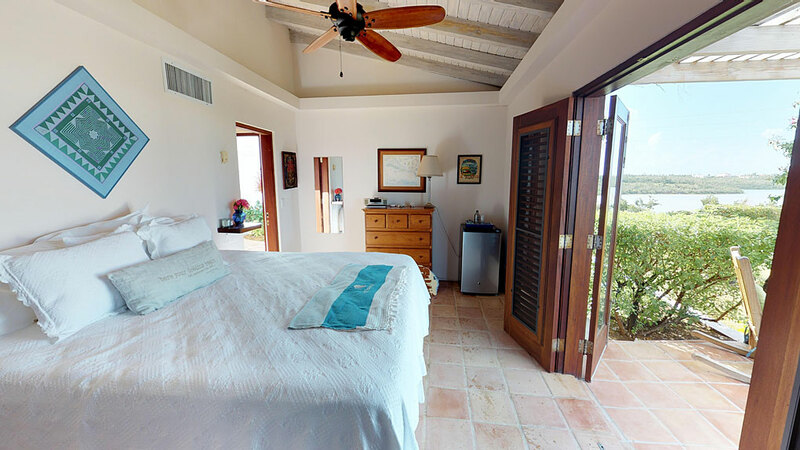 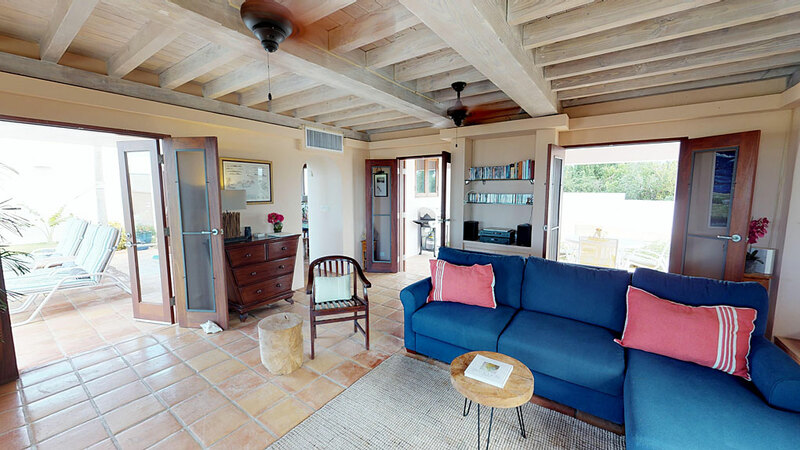 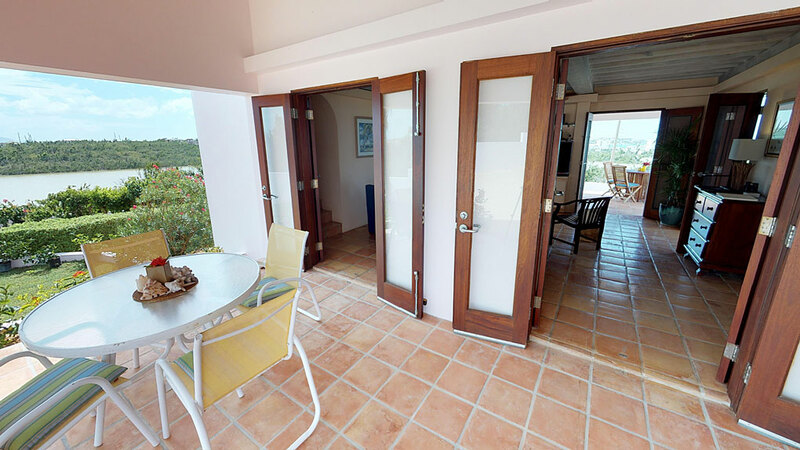 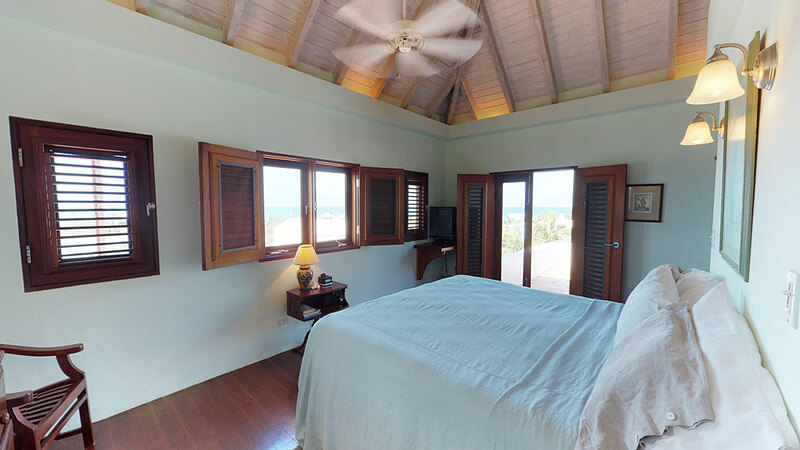 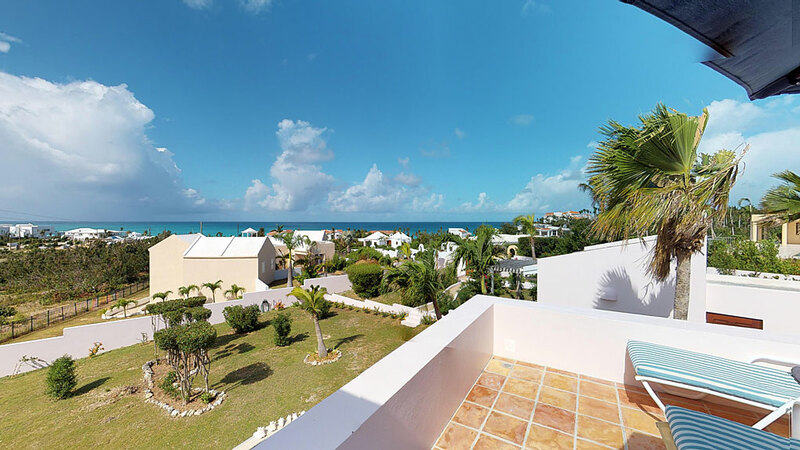 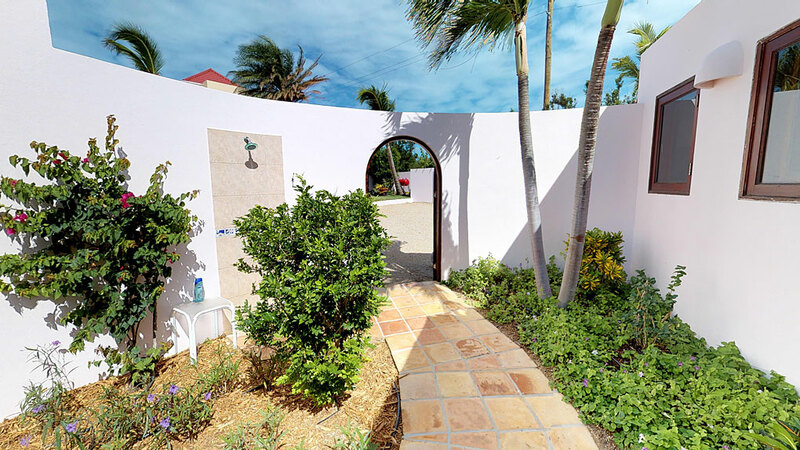 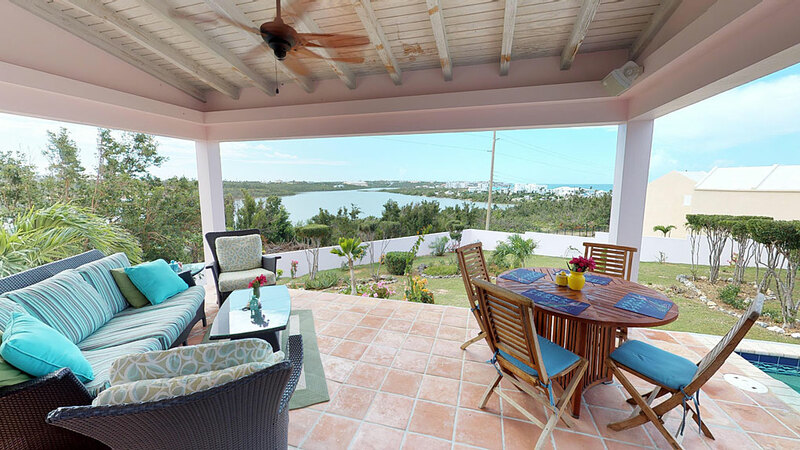 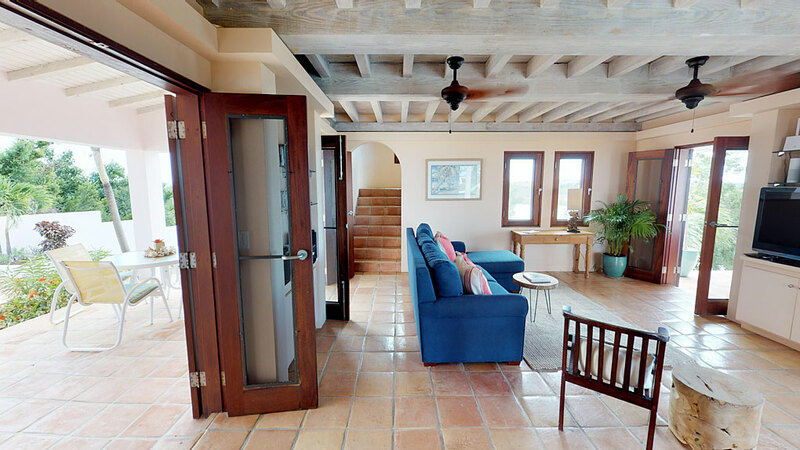 Jasmine Villa is located in the northwestern part of Anguilla and offers a fantastic location. 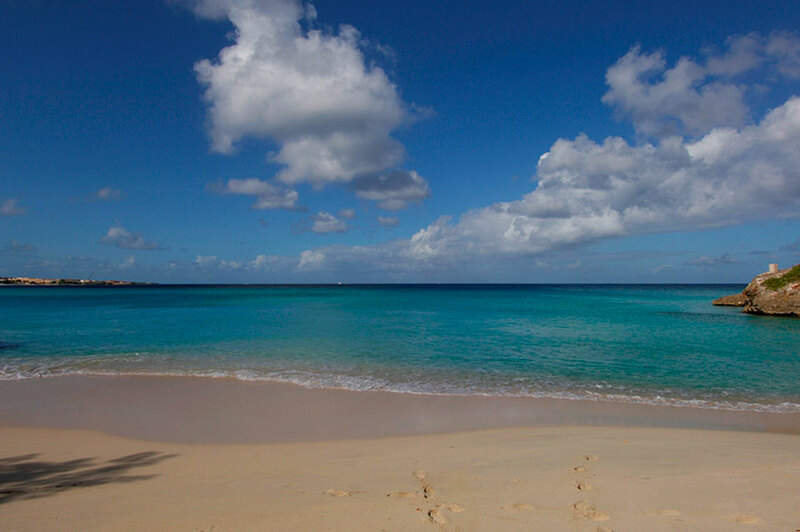 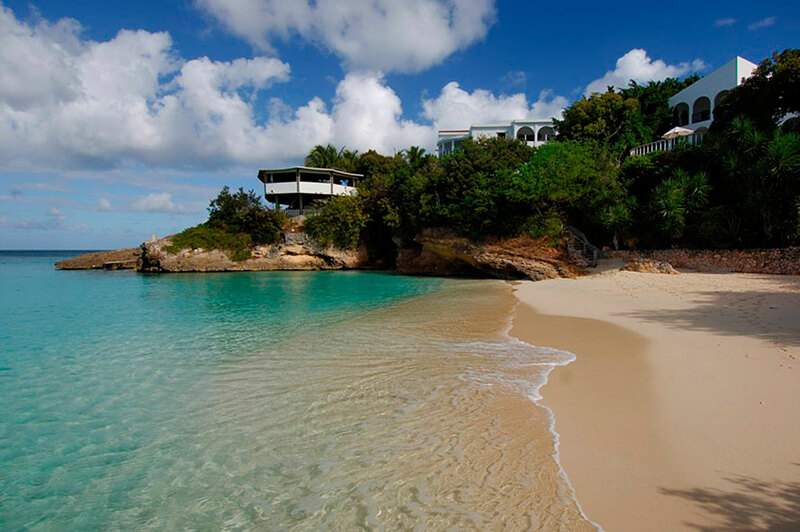 It's just a 5 minute walk or 3 minute drive to spectacular Meads Bay public beach, a mile-long crescent of white sand and calm turquoise waters. 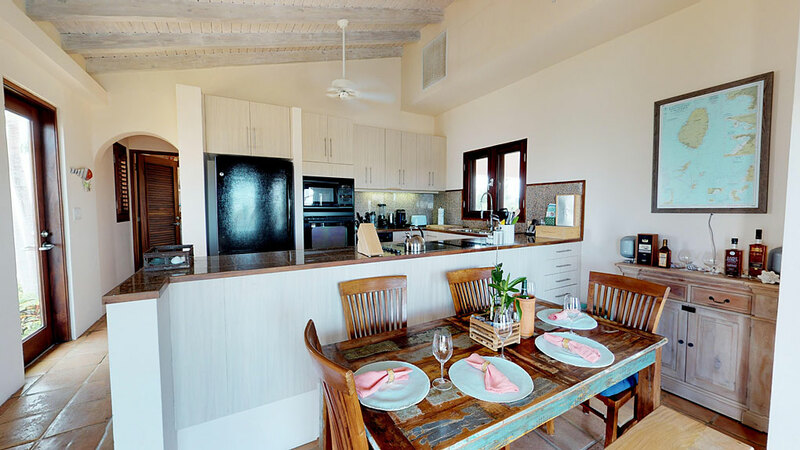 Nearby are several gourmet restaurants, including the renowned Blanchard's Restaurant, Jacalas plus world class resorts such as Malliouhana Hotel, Frangipani Resort and Four Seasons Resort and Spa. 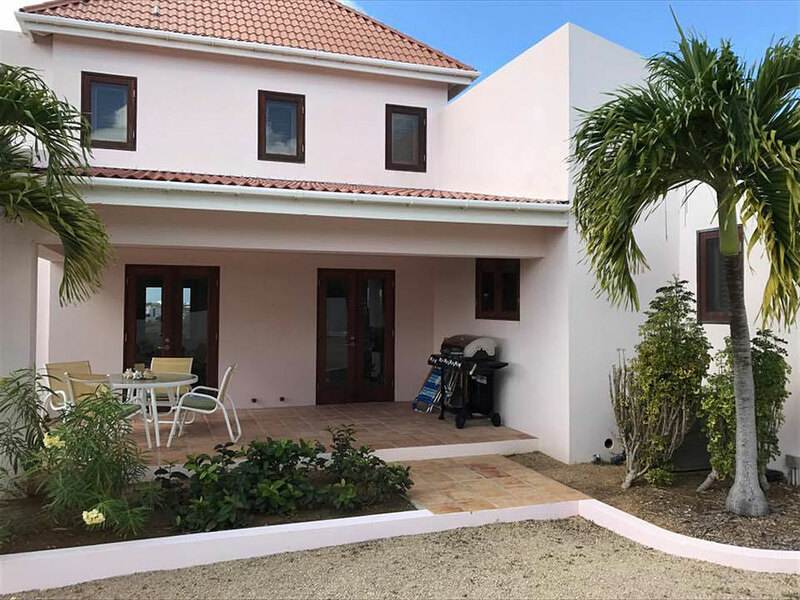 Jasmine Villa was recently sold and the new owners are putting their stamp on this popular villa. 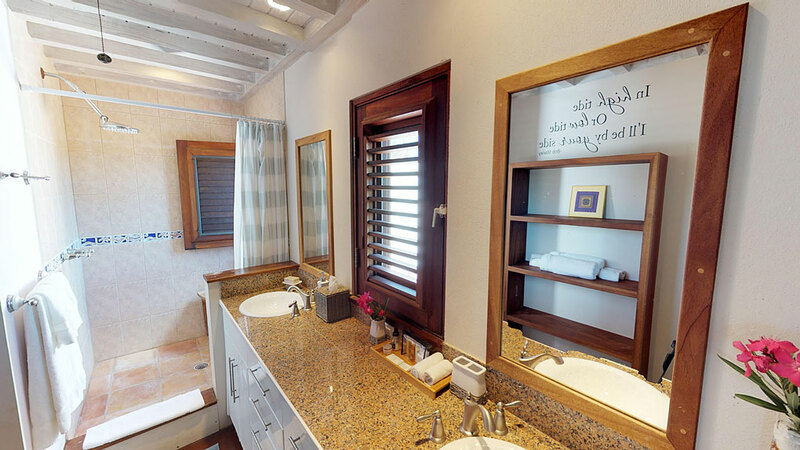 New furnishings, linens, amenities with more planned for the coming months. 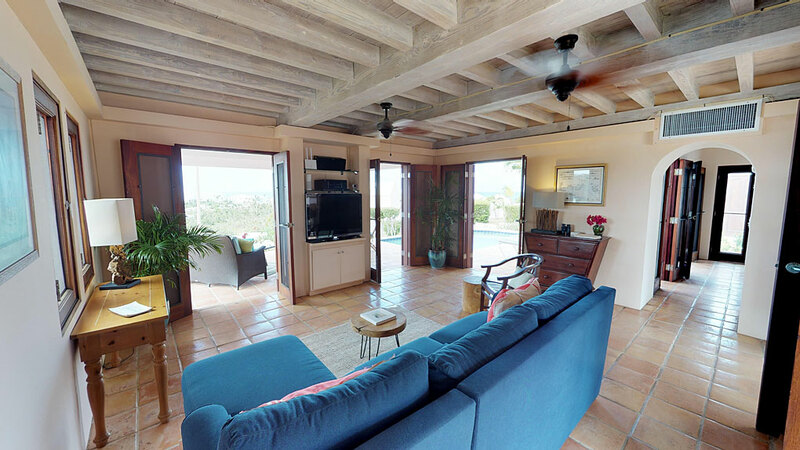 On the main floor of the main house is a living room with glass doors leading to the pool deck, dining room, and kitchen. 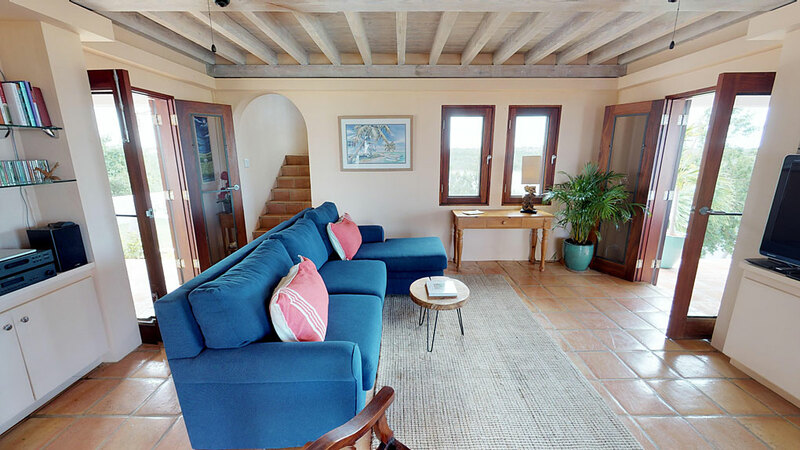 The living room has a flat screen TV and new sleeper sofa. 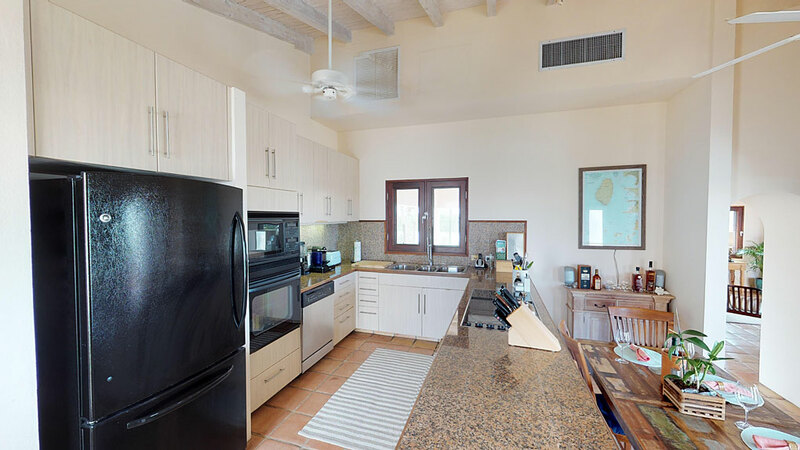 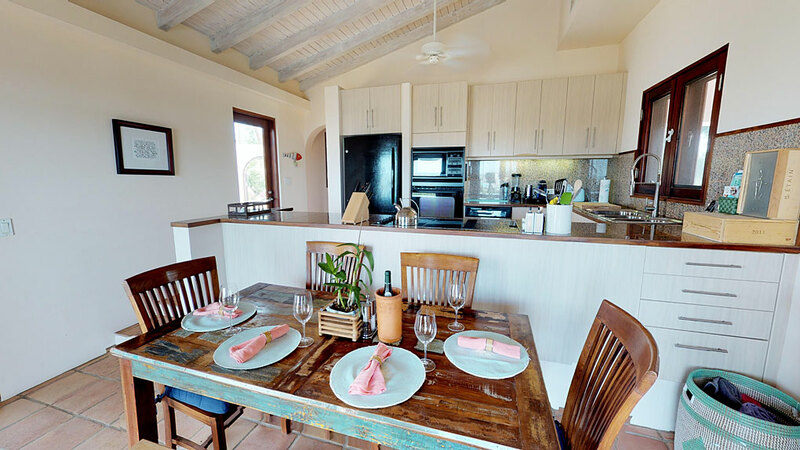 The villa has a fully equipped gourmet kitchen, including a Nespresso machine and cooktop built into the Italian granite countertop. 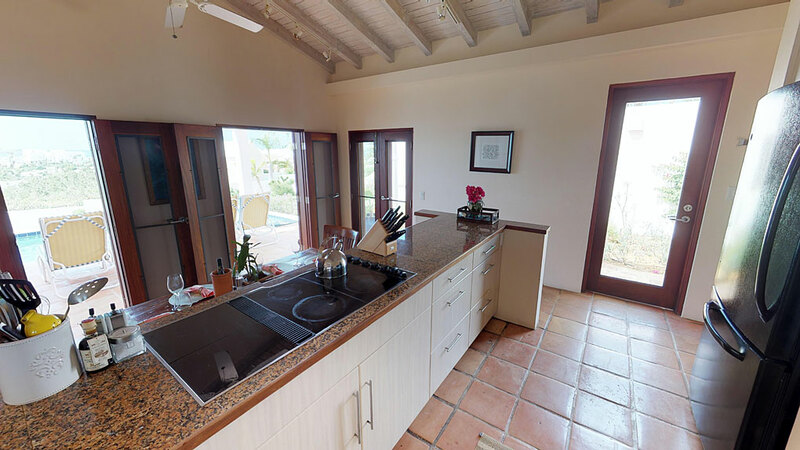 Adjacent to the kitchen are inside and outside dining areas. 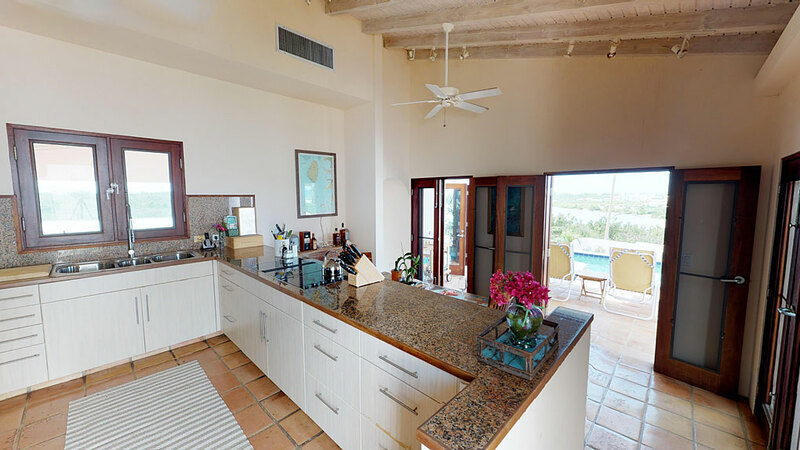 Chef service is available by advance request. 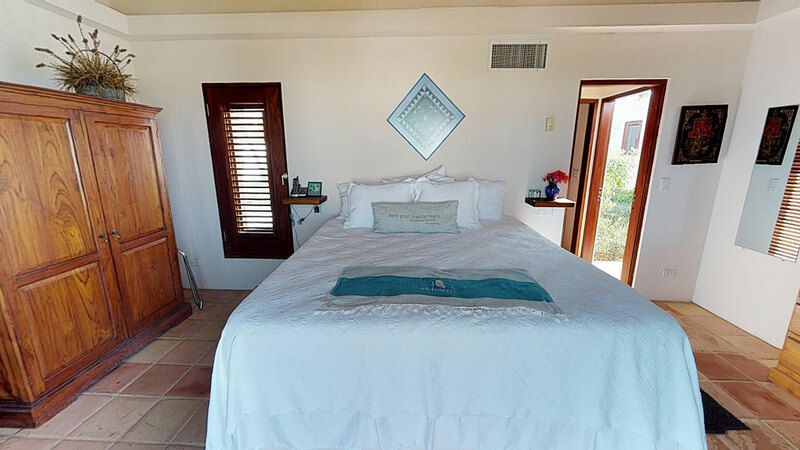 The master bedroom and bath are upstairs and feature great ocean views, TV and a lovely outside patio for your relaxation. 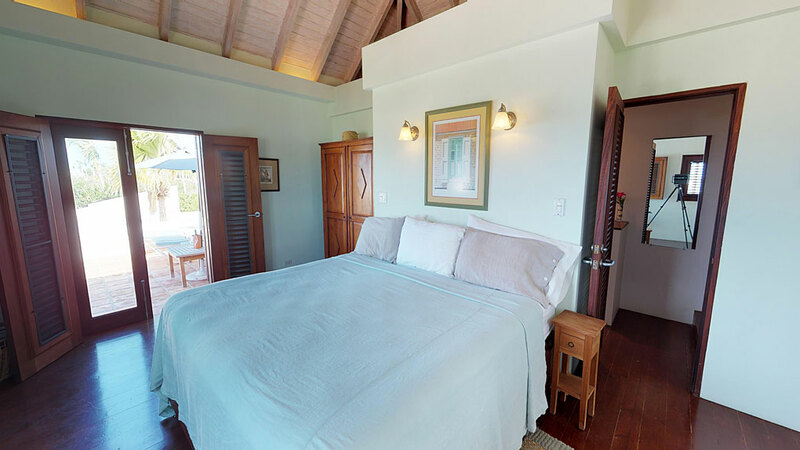 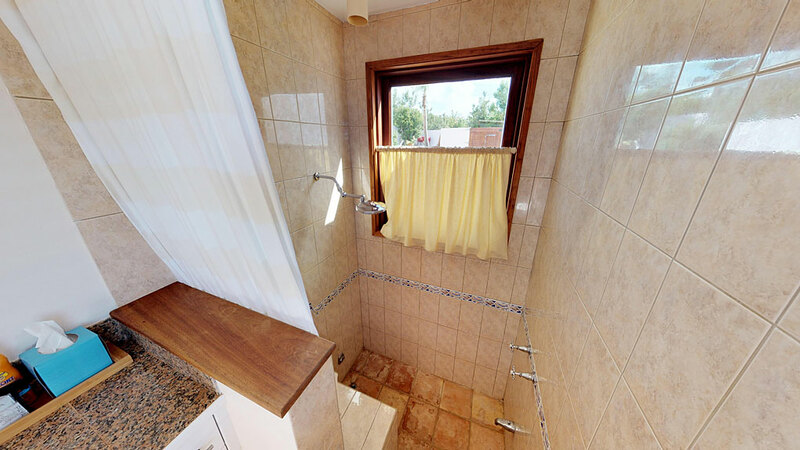 In a separate pavillion off the pool deck is a guest bedroom and bath. 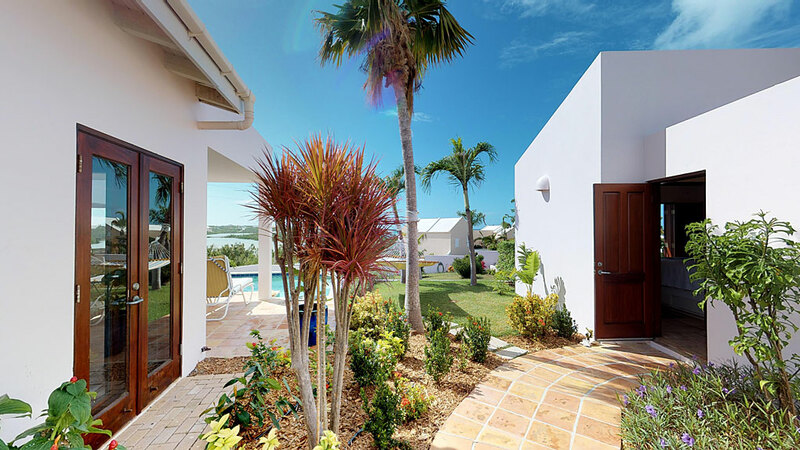 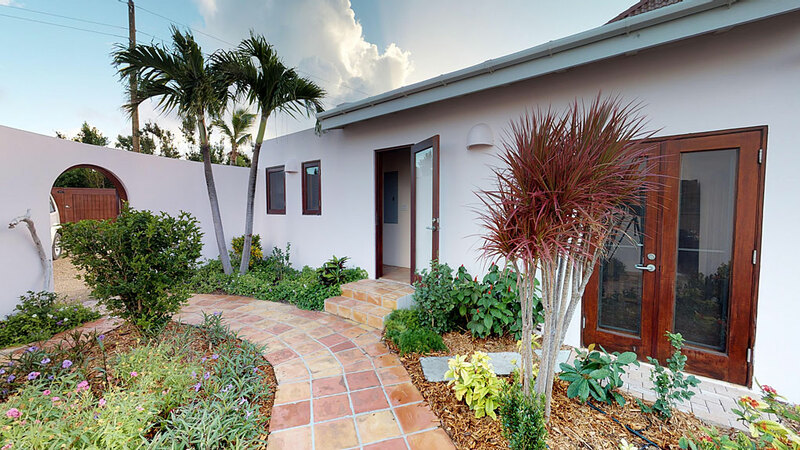 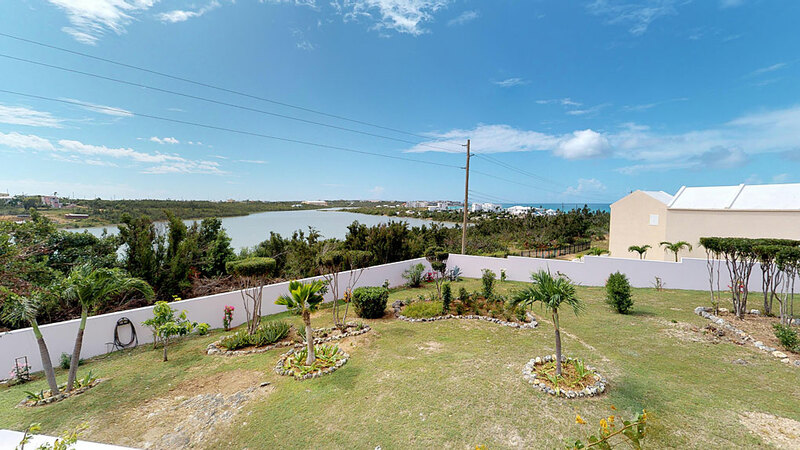 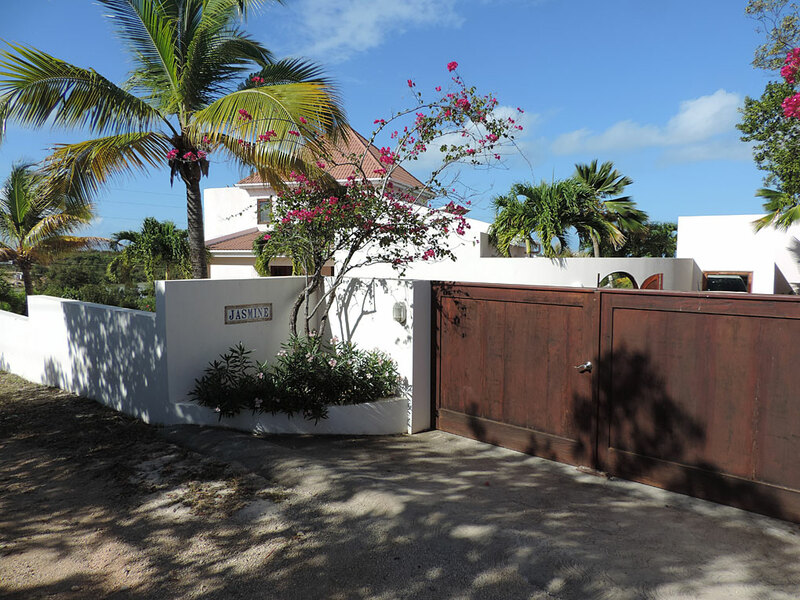 The landscaped garden has a gate leading to the short walk to beautiful Meads Bay Beach. 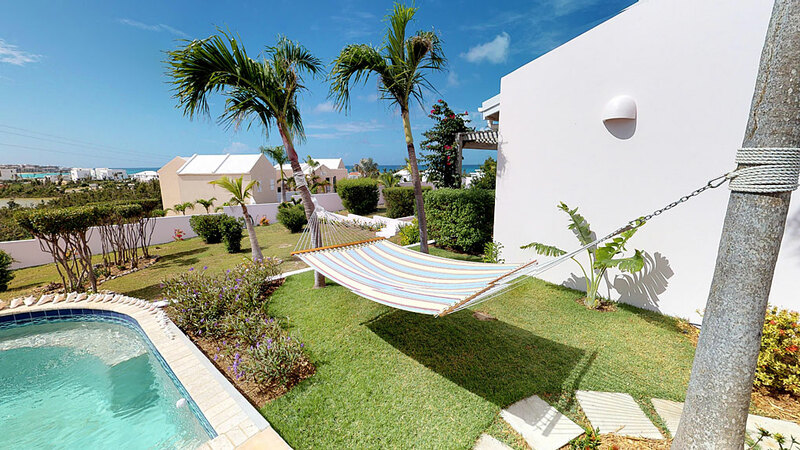 Tucked among the trees is a wonderful swaying hammock just waiting for you. 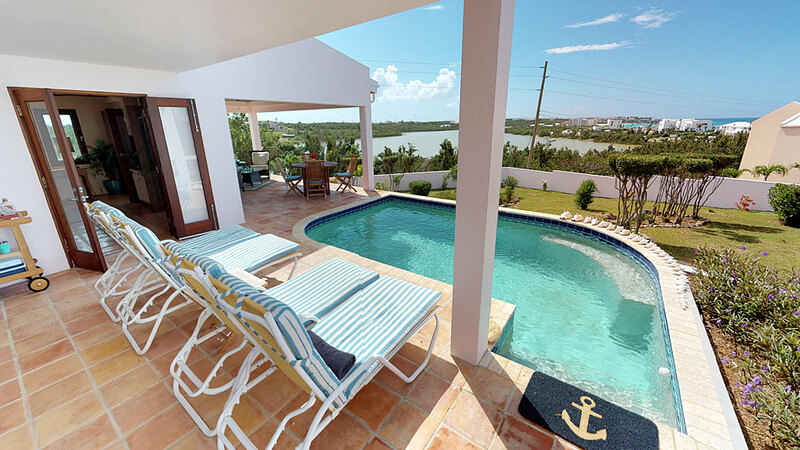 Enjoy the spacious pool deck with dining and lounging areas. 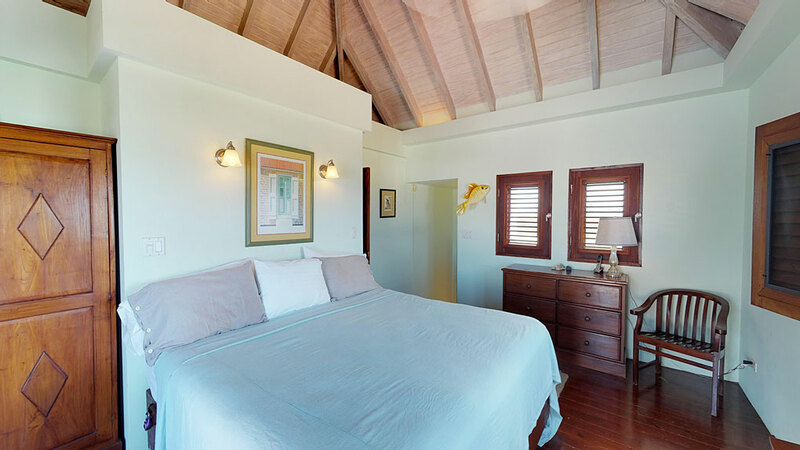 Bedrooms: There is a full king-size bedroom with fine linens and bathroom en suite in both the main house and the separate guest cottage. 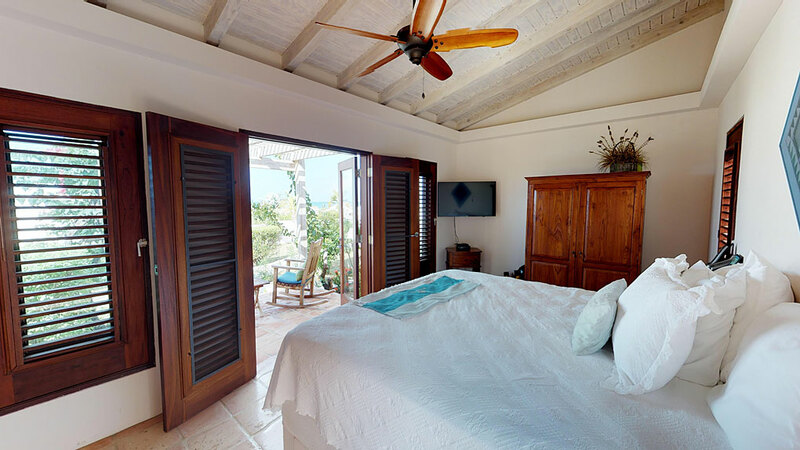 Note:  A/C for the Living Room can be requested for an additional cost of US$25 per night.